Ford Ecosport is also expected to make Australia its homeland next year after a launch in India. Currently, Ford is testing the Endeavour SUV in there. Notably, Ford is in an aggressive mood keeping both India and Australia in focus. In India it has set much abuzz when it revealed the Ford Ecosport SUV during the Auto Expo. The Ecosport that will be launched in India will be quite different from the Brazilian Ecosport and characterizes more of urban SUV features. Hoped to be priced around Rs 7 lakh to Rs 9 lakh the Ecosport SUV is sure to take the sports utility car market in India by storm. 1. 1 litre Ecoboost turbo petrol motor. 2. Variable timing for great power and torque output used on exhaust and intake. 3. For better fuel efficiency, water cooling system is placed in cylinders. 4. To get greater results from the engine, variable oil pump and offset crank are installed. 5. Centrally positioned sophisticated direct injectors do wonder in terms of higher fuel combustion and mileage. 6. For agile engine starting and lower emissions, dual split cooling system is being used. 7. Lower frictions and noise are achieved through cambelt present in oil. 8. New but strange engine design unlike 3 cylinder powertrains, it uses pulley/flywheel unbalanced design to absorb the vibrations. The India bound Ecosport is expected to be a mini version which could be under four meter in length compared to the current version of the Brazilian 4.2 m Ecosport. This very same mini SUV Ecosport will be launched in Australia as well and it could be early next year. Notably, the Ecosport is slated to be launched in India in June-July this year. In Australia, the Ecosport will be joining the fleet of cars and will be sold in the SUV segment which currently has two offerings Ford Escape, Territory and Ford Kuga. 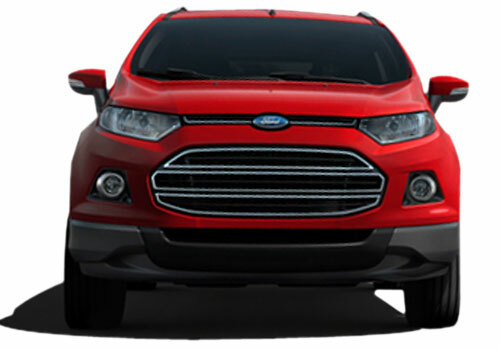 Significantly, Ford Ecosport has close resemblance appearance wise with Ford Kuga. In Brazil as well, the new Ecosport will be replacing the current generation of Figo based SUV and then it will be launched in other parts of the globe including India and Australia. As per reports, the Ecosport will be covering over 100 markets across globe and India, China and Australia are among the targeted ones. Besides the efforts of the American car maker, the 1L EcoBoost engine powered small SUV Ford Ecosport has the guts to outcast its rivals such as Premier Rio, upcoming Maruti XA Alpha and others.